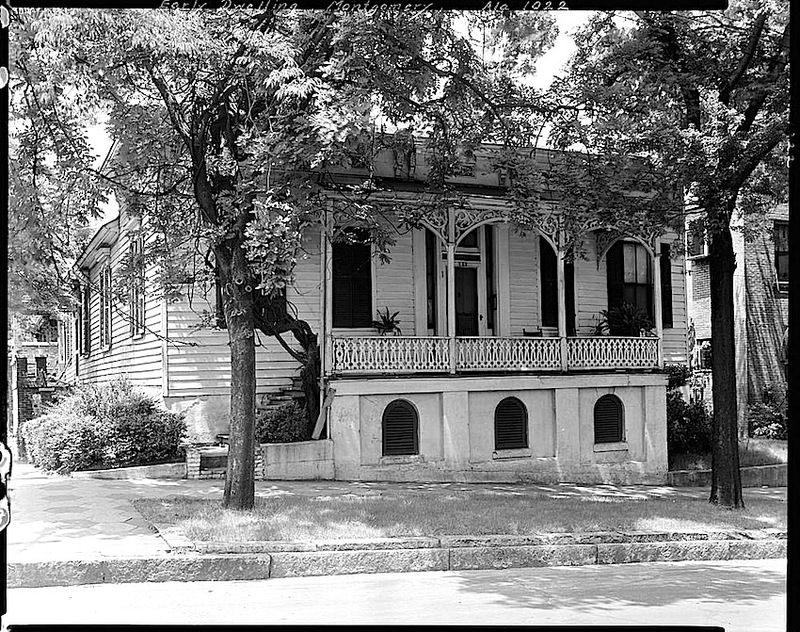 “Early dwelling, 222 S. Perry St.,” Montgomery, Alabama, 1939, by Frances Benjamin Johnston, via Library of Congress Prints and Photographs Division. 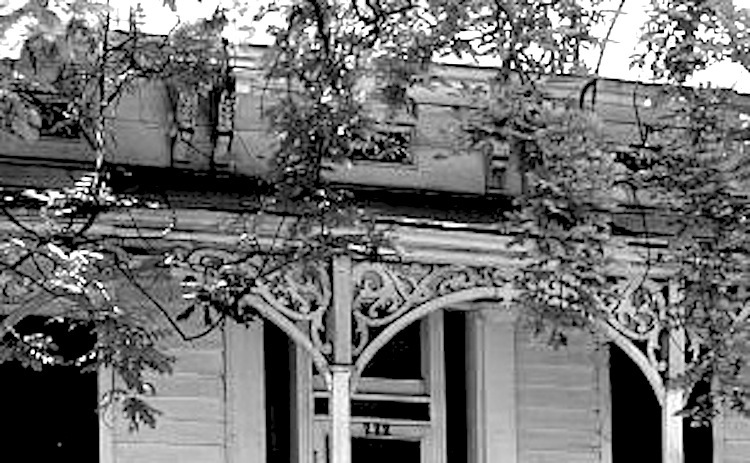 The porch woodwork pattern is echoed in the little attic windows. Click to enlarge. A huge vine is growing beside the steps, but it seems to go up into the tree on the left, rather than onto the porch. The sidewalk is tiled in a simple geometric pattern. The effect, with the arches of the porch and basement windows, is a little Moroccan/Andalusian. The house no longer stands.